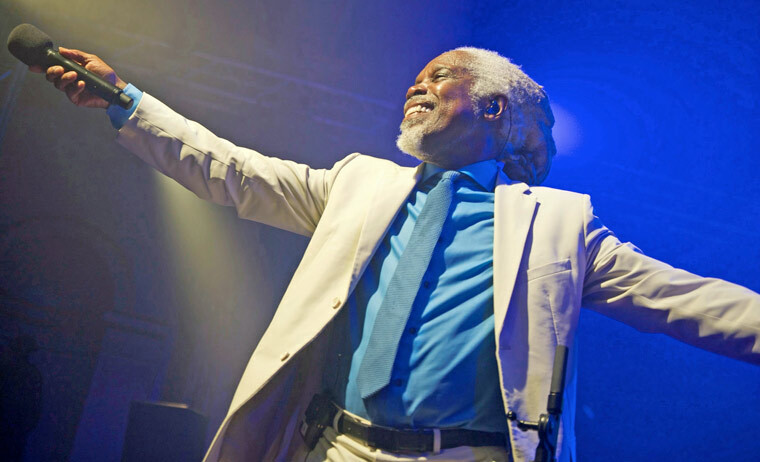 Headliner Billy Ocean will be joined by pop princess Kim Wilde and punk icon and actress Toyah on 9 June at the three-day 80s extravaganza at Upton House Music Festival in Poole. Billy will be appearing ahead of the release of his latest album ‘Here You Are: The Music Of My Life’ which is packed with loving reworkings of some of his favourite tracks and heartfelt interpretations of standards and classics. Billy said: “It’s a special single-disc album that brings together 10 new performances alongside five of the classic hits that made me one of the most popular UK recording artists of the 1980s. The album tracks include ‘No Woman No Cry’, ‘Cry Me A River’, ‘Having A Party’, and ‘Love Train’. Trinidad-born Billy’s unforgettable hits include ‘Caribbean Queen’, ‘When the Going Gets Tough’, ‘Suddenly’ and ‘Love Really Hurts Without You’. Kim Wilde’s first single release, ‘Kids In America’ in 1981, launched a career that has yielded 13 studio albums, more than 30 singles and sales of more than 20 million records. Completing the trio of 80s’ superstars is punk icon and actress Toyah, whose 13 top 40 hits included ‘It’s A Mystery’, ‘I Want To Be Free’, and ‘Thunder In The Mountains’. The three-night festival held at the idyllic Upton Country Park also includes a Classical Spectacular on 8 June with world renowned bass-baritone Sir Bryn Terfel, Australian soprano Lauren Fagan, the celebrated BSO Concert Orchestra and exciting all female electric string quarter Escala. International superstar singer-songwriter Michael Bolton headlines on Saturday, 10 June in his only UK show this summer, with special guest soul man Kenny Thomas. Visit www.uptonhousemusicfestival.co.uk for details or call 01202 255161.